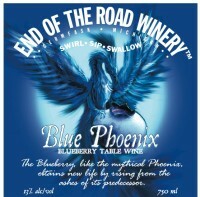 The blueberry like the mythical Phoenix, obtains new life by rising from the ashes of its predecessor. A dry white wine from Frontenac Gris grapes. 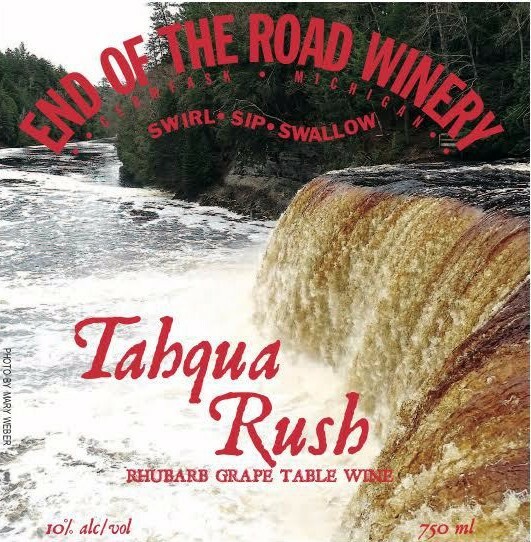 ​Tahqua Rush is made from Fresh Rhubarb picked from local family farms with an added splash of white grape. 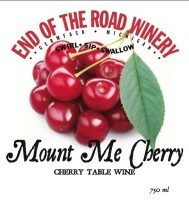 ​Mount Me Cherry is made with Montmorency Cherries picked in Central Lake, MI. This is a customer favorite. You will think you are eating fresh picked cherries. 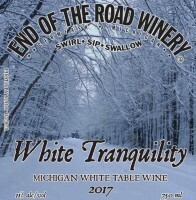 2017 or 2018 This is a sweet wine made from Niagra grapes. 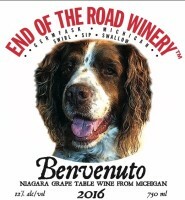 The name Benvenuto comes from the Italian word "Welcome" this wine label is in honor of our dog Bristol who welcomes everyone at the winery. 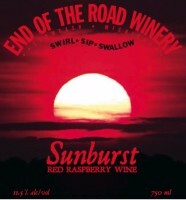 Award Wining Red Raspberry wine that will take your breath away with the robust flavor, like the brilliant color of the sunset in Manistique Michigan. 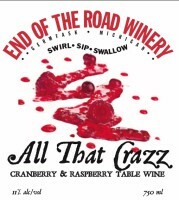 A blend of Michigan grown cranberries and Michigan grown red raspberries. 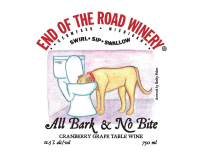 This darker than blush wine is a delight to your palate with the crisp macintoch apple and hint of canberry. 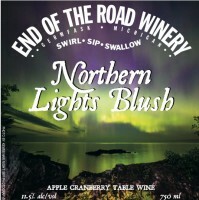 Photo by Jeremy Rowe, Keweenaw Lights Photography. 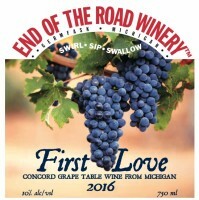 2017 or 2018 Made from Concord grapes, this wine brings back memories of our "First Love" of making our first batches of wine from the concord grapes grown on gram & gramp's farm. 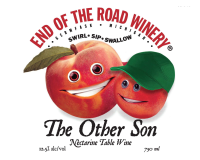 2017 or 2018 A medium bodied red table wine. 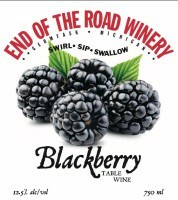 This deep colored wine hosts flavors of blackberry, currants and plums. 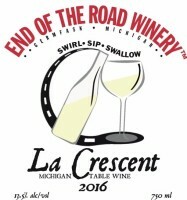 Pairs well with hearty foods like pasta dishes. 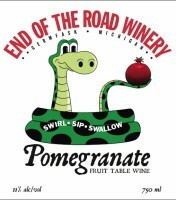 Made from the juice of real pomegranates. It is the passion fruit that leaves you to wonder .....Was the fruit of all evil the apple or was it really the pomegranate ? 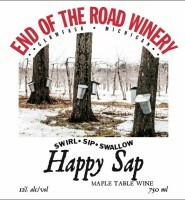 For those of you who are looking for sweet wine, this one is for you ! AHH you see it ! 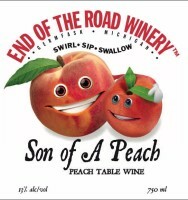 The other Son, a relative to the peach, this wine is made with Michigan grown Nectarines. 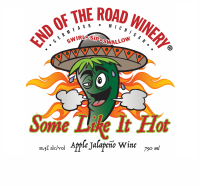 If you like jalapeno's you will love this wine. Pairs well with pizza, nachos. 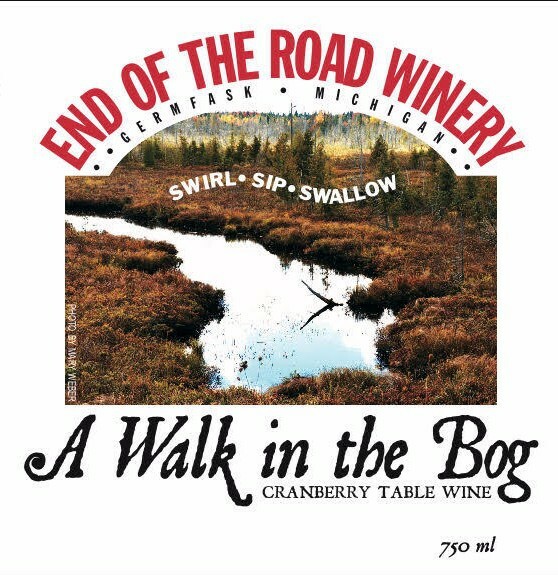 Our old time favorite Cranberry-Grape wine that originally had it's own warning, (ask at the tasting room for more details). The art work done by Shelby Fisher. 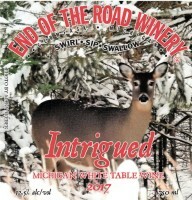 A dry read wine with hints of pepper and current flavor. 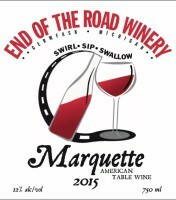 Pairs well with red meats and pasta.